Young Leader of The Year Gregory Bradley has enjoyed a civic reception in Cloonavin. Gregory is Managing Director of BLK BOX, a leading manufacturer of specialist fitness equipment for world class training facilities. He was chosen as Herbert Smith Freehills Young Leader of the Year at the Young Leaders NI Conference earlier this year. BLK BOX, which currently employs 21 people, is based in Belfast where it recently moved to larger premises in the Titanic Quarter. 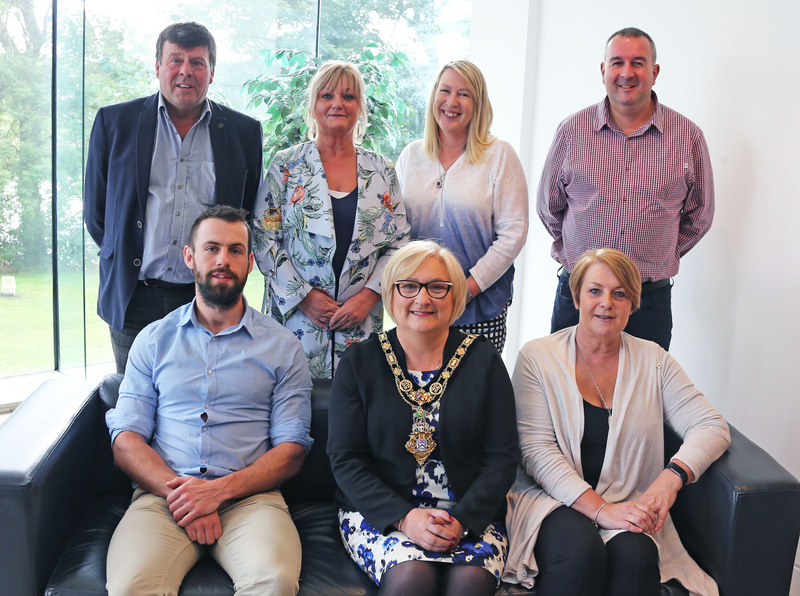 To keep up to date with latest news from Causeway Coast and Glens Borough Council, follow us on Facebook and Twitter. 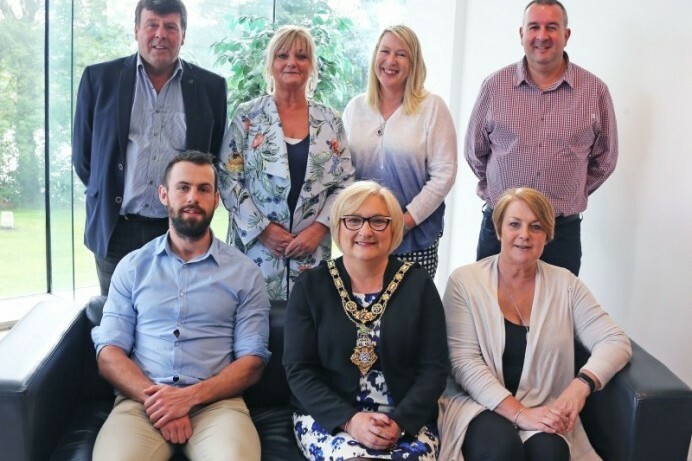 The Mayor of Causeway Coast and Glens Borough Council, Councillor Brenda Chivers pictured with Gregory Bradley, Young Leader of the Year 2018 and his family at a civic reception in Cloonavin.